Growing up with a bigger physique than everybody else made me a more susceptible target to criticism and teasing. I was a big baby when I was born and my mom used to tell me stories about how I was put on a diet so early even at 3 months old. When I turned 2nd grade, I had to move to a new school. There, I was the tallest girl in class even though I was the youngest. All of my classmates were petite and "average". I was the only one who was "big". I became the center of jokes and puns. It was hard because at a young age, I wasn't used to being teased and it affected my confidence and self-esteem a lot. When I turned 11 and was ready to go to high school, I had the lowest self-esteem. I used to grow my hair so long just so I could cover my face with it. I wasn't fat, I was just big. I had a normal BMI but I have big bones and I was tall, and when I stand beside my classmates, I am really noticeably bigger than them. I didn't have much confidence because of my experience in grade school. But when I met my awesome best friend in high school, I regained my self-esteem. 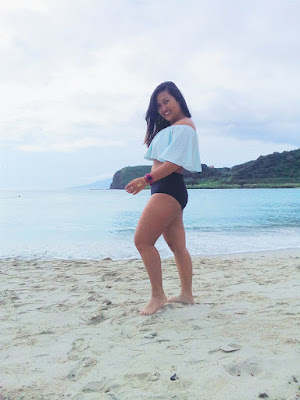 My best friend taught me how to be confident in my own skin, on how to ignore what others are saying about me because what should matter is my own thoughts and feelings about my own body. At that age, I wasn't aware that my best friend would have the largest impact on who I will become today. I slowly developed my self-confidence one step at a time. I went to college and met awesome people who were diverse in body type, belief, and culture. I'm finally not the "big" one in the school. My perception of stereotyping body types changed and my eyes were opened that life is so much more than just judging a person by his or her physical appearance. I learned to love my body, flaws and all. I learned to like what I look like, I learned how to love my weird habits, and most of all, I learned how to love myself despite my lapses and weaknesses. It was a long journey and looking back, I know that I have come far to where I was before. And I am just so happy and thankful that I reached this point in my life where I have learned that self-love is important. 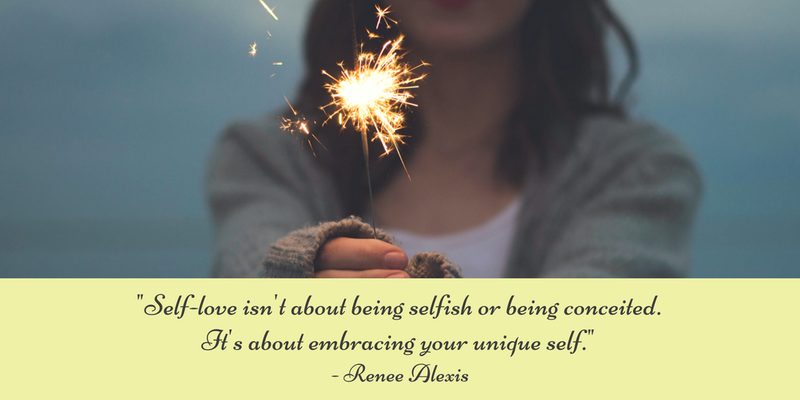 "Self-love isn't about being selfish or being conceited. It's about embracing your unique self." Learning how to love yourself first is essential because how will anyone love you if you yourself don't, right? The secret to a happy life is self-love. :) By knowing your self-worth, you will have the strength to be on your best self to give love to those who are around you. Honestly, today, I'm still battling with the criticisms and teasings, but I'm getting better at not giving a f*ck to those ignorant comments and replying with witty comebacks. I have also learned the IDGAF attitude and that is somehow one of the best traits I've learned and mastered over time. One of my fears is being a public laughing stock and making a fool out of myself. Today, I've learned that some things just really happen, whether it's bad or good, The important thing is that you will learn from the experience so that you won't have to go through it again in the future. Over the years that I have grown older, I have also grown more mature. At my age of 24, I can say that I have really matured a lot. I've learned how to deal with things on my own, I've learned how to let go of the things that are not of value to me anymore, I've learned how to forgive the people who have wronged me, and I've learned how to fight for what I know is right. 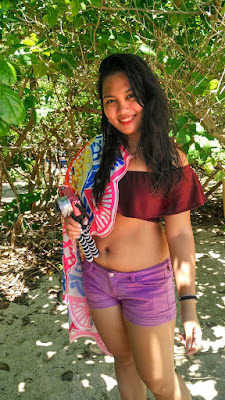 In this life, I stand with being body-positive, to having self-love, and to conquering fears. I know these might be overlooked because of the many relevant issues of today's generation, but this is me. No matter what age, race, or religion, I am all for equality. And I want to know and learn more about it.